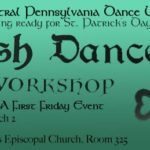 Start your St. Patrick’s Celebration early by joining the Central PA Dance Workshop for an Irish Dance Workshop. Socks or bare feet dancing only, $15 Admission, $10/Students, and $8/CPDW Students. Please note: this workshop will be held in room 325 at St. Andrew’s Episcopal Church, 6-7 p.m. No prior experience necessary! 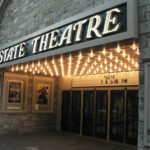 The State Theatre will be hosting a Reception for March Lobby artist Deb Zucco, as well as hosting entertainment by Marcelyn Lebovitz, a classically trained opera singer. Their Spring movie Schedule has just been released, and staff will be providing movie lists, free popcorn, and even some BOGO movie passes! 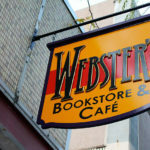 Stop in at Webster’s to participate in collaborative collage art during Art Night, a fundraiser for Akiuk Memorial School in Alaska, to help their schools purchase art supplies for after-school programs. 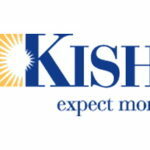 $5-10 donation, and check out Artist of the Month Nancy Hamilton too! 5-8 p.m.
Drop in at the Woskob Gallery at the Penn State Downtown Theatre for a MAKE/STUFF workshop led by the Penn State School of Visual Arts Art Education Students! While you’re there, check out the “Pedestrian Rules” exhibition, 5-8 p.m. The Expect More Store presents the work of local artist Harriet M. Rosenberg during First Friday! 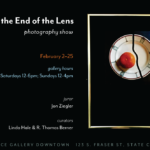 Stop by to view her original paper cuts and enjoy cheeses, wine, and beer. 5:30-7:30 p.m.